Every Massachusetts homeowner should be aware of the opportunities that are available for protecting the equity in the family home. A recent bankruptcy case, In re: Nealon, reminds us of one such opportunity – the Massachusetts homestead exemption — and its power to stave off creditors, especially when the homeowner takes the simple steps necessary to maximize the amount entitled to protection. Homestead laws throughout the country are based on the fundamental public policy of providing families some basic protection for the value of a home, regardless of financial circumstances. The Massachusetts Supreme Judicial Court has noted that “[t]he preservation of the home is of paramount importance because there the family may be sheltered and preserved” and that “[p]ublic policy dictates that exemption laws, such as homestead provisions, should be liberally construed to comport with their beneficent spirit of protecting the family home.” Dwyer v. Cempellin, 424 Mass. 26 (1996) (citations omitted). Until five years ago, achieving homestead protection in Massachusetts was an unduly burdensome and confusing exercise. After a decade of concentrated effort to draft new legislation, in late 2010 Massachusetts enacted a completely updated and revised homestead law. The law, Massachusetts General Laws, Ch. 188, §1-10, went into effect in March 2011 and completely replaced the prior law. The new Massachusetts homestead law provides homeowners with automatic protection in any primary residence up to $125,000. Homeowners who want more protection can record a declaration of homestead to obtain homestead protection up to $500,000. And two homeowners age 62 or older may both file for homestead protection over their residence, realizing aggregate protection of up to $1,000,000. The new law also provides protection to the beneficiaries of trusts, clarifies that a refinancing mortgage will not terminate previously filed homesteads, and protects proceeds from the sale of a home or insurance. Additional information about the scope of the law can be found in this summary overview prepared by the Massachusetts Secretary of State’s Office. Although the homestead law provides valuable protection to Massachusetts homeowners, creditors remain free to challenge the extent of the protection based on particularized facts. Bankruptcy proceedings often serve as the venue for battles over the nature and extent of a debtor’s claimed right of homestead. A recent decision from the United States Bankruptcy Appellate Panel for the First Circuit (BAP) illustrates this point clearly. The chapter 7 bankruptcy case of In re: Nealon involved a bankruptcy filing by an individual who worked as a contractor (the “Debtor”). Prior to the bankruptcy case, a former customer of the Debtor succeeded in obtaining an arbitration award against the Debtor arising out of an extensive residential real estate remodeling project that ended poorly. In 2014, the Debtor filed for bankruptcy protection, listing among his assets real estate with a value of $420,000 secured by a mortgage in the amount of $307,192. In his filing, the Debtor claimed an exemption in the property pursuant to the Massachusetts homestead law. The Debtor also listed the former customer as an unsecured creditor with a claim based on the arbitration award of nearly $300,000. The former customer objected to the claimed homestead exemption. The bankruptcy court sustained the objection after concluding that the exemption extended only to the one specific parcel on which the Debtor’s residence was situated, and not to three adjacent parcels that the Debtor had sought to subdivide in the past. As a result of the bankruptcy court decision, the adjacent parcels were not protected by the homestead exemption and, without protection, the parcels were at risk of being sold to satisfy creditor claims. Before any sale occurred, however, the Debtor appealed, arguing that the bankruptcy court applied the wrong standard by erroneously focusing on the Debtor’s original intent to subdivide the property rather than his family’s actual use of all of the property at the time of the declaration of homestead. The BAP sided with the Debtor, concluding that the critical issue was the Debtor’s usage and not any intent to retain or convey away the property. Although the Debtor won before the BAP, the fight may not be over. The customer has the right to seek further appellate review before the United States Court of Appeal for the First Circuit. As of this writing, no such appeal has been filed, but the time to do so has not yet expired. The In re: Nealon case, at a minimum, serves as an important reminder of the protections of the Massachusetts homestead exemption and that affirmative steps are required to maximize those protections. Although every Massachusetts homeowner is entitled to an automatic homestead protection of $125,000, in order to obtain protection of up to $500,000 per residence, a declaration of homestead form must be recorded in the Registry of Deeds in the county or district where the property is located. In addition, the law considers a homestead filing by an individual age 62 or over as personal to the individual – with the result that two individuals who are 62 or older may aggregate their personal homestead amounts to realize total protection of up to $1,000,000. 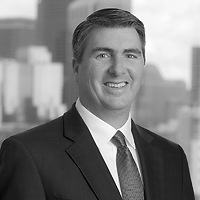 In re: Nealon also serves as a cautionary tale of the delays and costs of litigated bankruptcy disputes. The date of the underlying contract for construction services was 2011. The arbitration award was entered in 2014. The bankruptcy case followed within days, followed by litigation over the extent of the homestead, the Debtor’s entitlement to a discharge and other issues. Two years and two judicial decisions later, the Debtor remains in bankruptcy and the customer remains unpaid. Clearly the underlying facts evidence an intense period of frustration and dissatisfaction by the parties, but it is hard to imagine that two-plus years in bankruptcy litigation have dissipated those sentiments.